Posted by Yilan in EU, Yunanistan. FROM GREECE to Norway, disturbing political parties are emerging. The more successful ones blend extreme nationalism with a defensive perversion of liberal principles. Our languages have yet to coin a valid descriptive term for these parties. The handy labels of “extreme right” or “populist” are inadequate and questionable. Inadequate, since some, such as the Dutch Party for Freedom (15.5 per cent of the vote in the 2010 election), advance liberal, progressive policies on questions of personal freedom. Questionable, as all democratic political parties must be populist, to use the dictionary definition, in representing the interests of ordinary people. Using populist as a derogatory term helps to validate the claims of these parties that our political leaderships have become divorced from their electorates. There are obvious parallels with the rise of 20th-century fascism, but these parties cannot be dismissed as being neo-fascist, although some of them have absorbed neo-fascist groups. They feed on fear, offering simplistic and sometimes sinister solutions to complex problems. They share at least five major common elements: 1) anti- immigration/anti-foreigner 2) pro- Israel 3) anti-Islam 4) anti- Turkish EU membership and 5) exclusive nationalism. 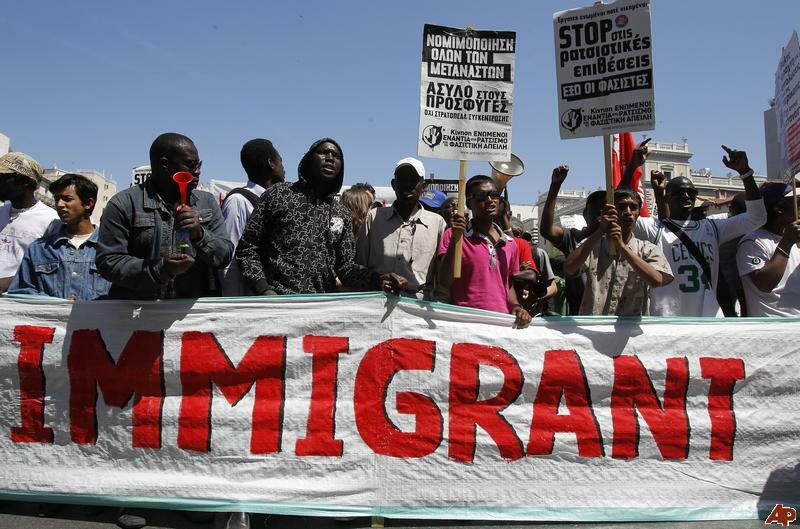 They exploit the instinctive human fear of the foreigner, particularly the poor and racially distinctive foreigner. Where Europe’s fascist parties designated Judaism and Jews as the problem, their modern successors focus on Islam and Muslim immigrants. . Since Israel is confronting Arab Muslims, it is at the forefront of the “clash of civilisations” between the Christian West and an oppressive and backward Islam. This pro-Israeli stance also helps insulate some of these parties from charges of anti-Semitism. Marine Le Pen, the new leader of France’s Front National (10.4 per cent in 2007) is preparing an official visit to Israel. This anti-Muslim and anti- immigrant stance is blended with a particular interpretation of the personal freedom element of liberalism. Islam, its approach to women and its position on homosexuality are portrayed as posing a threat to hard-won freedoms in our societies. Hostility to Turkish EU membership comes as a logical extension and is central for the once-liberal Austrian Freedom Party (17.5 per cent in 2008). A narrow, almost genetic, definition of the nation lay at the heart of last week’s slaughter in Norway. A nation can only be a fixed, almost isolated, group of people. The True Finns party (19.1 per cent in 2011) express this concept in its very name. If they represent the “true” Finns, then all others must, by definition, be “false”. Both the Swedish Democrats (6 per cent in 2010) and Norway’s Progress Party (23 per cent in 2009) are opposed to their countries’ autonomous structures for the Sami people. Our European welfare states can only survive, these parties argue, if poor foreigners are excluded. As Muslims tend to have larger families, this systemic threat grows yearly. The Swedish Democrats ran a clip showing young hijab-wearing Muslims elbowing a Swedish pensioner out of a benefits queue. This medieval “let’s pull up the drawbridge” approach also covers considerable differences. The Norwegian Progress Party and the Danish People’s Party (13.8 per cent in 2007) grew from anti- tax formations. The Progress Party argues that Norway should use oil revenues to cut taxes rather than invest them to provide for future generations. The Vlaams Belang (7.8 per cent in 2010) has a particular problem with non-Flemish speaking foreigners spilling out from Brussels. The Slovak National Party’s (5 per cent in 2010) main fixation is on its country’s Hungarian minority. The People’s Orthodox Rally in Greece (5.6 per cent in 2009) values religious affiliation. Little of this is grounded in reality. Estimates suggest there are about four million Muslims in France, or 6.5 per cent of the population. Twenty per cent of these regularly attend Friday prayers. This proportionally matches the 51 per cent of French people who describe themselves as Catholic, about 10 per cent of whom are regular Mass-goers. Norwegian figures suggest that there are about 100,000 Muslims in the country, or 2 per cent of the population. Faced with a choice between prejudice and reality, the prejudiced often prefer to alter reality. Burning Sarajevo’s national library in 1992 was an attempt to obliterate centuries of Bosnian intercultural heritage. PSNI constable Ronan Kerr was murdered by those who would not accept a man could be both a player of Gaelic games and a Northern Ireland policeman. Anders Behring Breivik killed teenagers because they were working for a different Norway than the one of his prejudices. These parties’ growing support challenges and potentially threatens our societies. We must address the causes of their support if we are to effectively deal with that potential threat. Failure is not an option. All of this ignores the courage of the millions of Arab Spring campaigners who are struggling for democratic freedoms from Morocco to Syria. It also ignores the dedication of those opposing the Iranian autocracy who, as activist Kouhyar Goudarzi (25) told Der Spiegel, “drink to the freedom that will most certainly come one day”. But it never does to let reality get in the way of a suitable prejudice. Posted by Yilan in EU, European Union, Turkey. Turkey’s minister for European Union affairs, Egemen Bağış, (R) explains his visions on slow-moving negotiations on Turkey’s bid to become a bloc member to Hürriyet Daily News’ editor-in-chief, Murat Yetkin (C), and Ankara Bureau chief, Serkan Demirtaş. “They should use their imagination. How would the EU be without Turkey?” EU Minister Egemen Bağış told the Hürriyet Daily News in an interview Thursday. Earlier in July, Turkish Prime Minister Recep Tayyip Erdoğan threatened the European Union that relations would be suspended in the second half of 2012 if Greek Cyprus were to assume the bloc’s term presidency without the collaboration of Turkish Cyprus. In a meeting in his working office, which has been upgraded to the European Union Ministry from the EU General-Secretariat, Bağış explained to the Daily News the duties of this new body, as well as how Turkey was evaluating the future of Turkey-EU relations. “We have thought about a Turkey without Europe since 1959. But at the point we are at now, we believe it’s time for them to think this over,” Bağış said. In 1959, Turkey officially launched a process for its future accession to the European Union, a process that has yet to be concluded and is currently moving at a snail’s pace due largely to political difficulties stemming from the Cyprus problem. Turkey began negotiations in 2005 but has only been able to open 13 chapters, and only close one, out of a total of 35. Turkey and the EU have multidimensional relations, Bağış said, noting that EU foreign-policy chief Catherine Ashton was still seeking Turkish Foreign Minister Ahmet Davutoğlu’s advice before going to Tunisia for talks. When asked whether the government would consider allowing the reopening of the Halki Seminary 40 years after it was closed as a symbolic gesture toward Greece, Bağış said there were reciprocal steps the Aegean neighbor had to take to pave the way for the seminary’s reopening. Turkey’s new European Union Ministry is “the country’s reform kitchen,” which will help Turkey catch up with European standards and implementations in almost every field, said EU Minister Egemen Bağış. “We are turning this ministry into the reform kitchen of Turkey. We are giving support to all our ministries and other government offices during their reform process,” the minister said. On 5th June, the centre-right coalition of Macedonian Prime Minister Nikola Gruevski was re-elected for a second term in office. As predicted, Gruevski’s cumbersomely-named Internal Macedonian Revolutionary Organization and Democratic Party for Macedonian National Unity (VMRO-DPMNE) formed a governing coalition with the ethnic Albanian Democratic Union for Integration. Aside from a handful of complaints about ballot-rigging in ethnic Albanian areas close to the country’s northern border with the disputed province of Kosovo, the election was an uneventful one – just as one might expect it would be in a South Balkan republic with little more than two million citizens. Gruevski’s coalition, while struggling to deal with the realities of the country’s crumbling infrastructure and high unemployment rate, has two clear priorities: achieving Macedonian membership of both NATO and the EU. Both of these objectives, however, appear to be little more than a pipe-dream as a result of a debilitating name dispute with its southern neighbour, Greece, which has hampered its ability to operate on the international stage. Since a referendum sealed Macedonia’s independence from Yugoslavia in 1991, the country’s constitution has referred to the state as the ‘Republic of Macedonia’. Opposition from Greece to this name, however, meant it took until April 1993 for the country to be recognised by the United Nations, yet under the rather clumsy title of the ‘former Yugoslav Republic of Macedonia’ (FYROM). The opposition to official recognition of the name ‘Republic of Macedonia’ stems from rather paranoid concerns on the part of Greece that Skopje is seeking to make irredentist territorial claims on the historic Kingdom of Macedonia which includes the northern Greek province of ’Makedonia’. Perplexingly, Athens also cites the country’s predilection for erecting statues of Alexander the Great – the most recent being a $13 million gold-cast in Skopje’s main square – as rather tenuous evidence that Macedonia is seeking to claim Greece’s cultural heritage as its own. This is, at the very best, a shrill over-reaction on the part of the Greek government. Even the briefest of visits to Skopje would demonstrate the efforts of the Macedonian government to regenerate the city; from the ongoing repairs to the imposing Kale Fortress which dominates the city’s skyline to the aesthetically-sympathetic buildings springing up along the banks of the Vardar River. 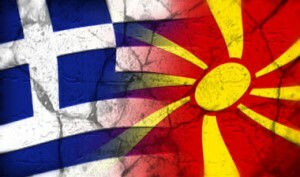 In reality, both Greece and the Republic of Macedonia are in agreement with the historical fact that both contained land within the then-Kingdom of Macedonia. As a result, basic logic dictates that the two nations will share some historical similarities – including national figureheads. Aside from containing portions of the former Kingdom of Macedonia, the modern-day Republic also encompasses portions of ancient Bulgaria. Indeed, while many Macedonians adhere to the Eastern Orthodox religion, the minutiae of the traditions to which its practitioners adhere are closer to those of the Bulgarian wing of the church than Hellenic customs. As with the remainder of the Balkans, the modern-day Republic of Macedonia is a cultural and ethnic melting pot – just as Greece itself is. Greece’s fears in respect of Macedonia are made all the more curious by the Greek government’s relative silence on the issue of the independence of Kosovo. While technically opposed to Kosovan independence from Serbia, the Greek government accepts the legality of passports and other formal documents issued by the authorities in Pristina. If Greece was truly concerned about territorial expansionism, it would offer more fulsome opposition to the creation of an overwhelmingly ethnic Albanian state in South East Europe – particularly given that the realisation of a ‘Greater Albania’ includes the annexation of the Epirus and Yiannitsa regions of modern-day Greece. As far as acting on irrational fears about irredentism are concerned, the Papandreou administration and Karamanlis government before it are highly selective. It would be foolish to deny that the country continues to face significant and political challenges, yet Macedonia should undoubtedly be offered a path to European Union accession. Indeed, European Union leaders have made a clear undertaking to continue the process of EU expansion to include all Western Balkan nations. While Macedonia first submitted its application for EU membership in 2004, the Greek government has insisted the country be referred to as the Former Yugoslav Republic of Macedonia at all times. Upon receipt of the application, Macedonia’s decision to name Skopje airport ‘Alexander the Great International’ was almost immediately cited by the Greek government as an explicit act of “aggression” towards its southern neighbour. Since 2008, the resolution of the naming dispute has been a formally-codified pre-condition of Macedonian accession. Just as the country’s EU aspirations have been stalled, Macedonia’s aspiration to join NATO has similarly been rejected by Greek opposition. Despite sending troops to Afghanistan, proposals to invite the country to join the organisation were vetoed by Greece at the April 2008 NATO summit in Bucharest – again, subject to resolving the naming dispute. Greece did, however, vote in favour of opening membership negotiations with Albania and Croatia, both of which acceded to membership a year later. Greece’s policy of paranoia towards Macedonia does nothing to inspire confidence in Greece as a responsible actor in either regional or global policy. Indeed, rather than view the naming dispute as a bilateral disagreement between two governments, it has sought to ‘Europeanise’ the issue and thus deny a democratic country in South East Europe a chance to engage fully with supranational bodies. Such a chance was not denied to Greece when it joined the then-EEC in 1981, despite its numerous diplomatic entanglements in respect of Cyprus and Turkey. Greece is a country with not inconsiderable problems. The failure of the Hellenic social model to provide an economically viable future for the country’s citizens has been made painfully clear to people across the world. Elevating this dispute to an EU level and sustaining it in the corridors of NATO and the United Nations for almost two decades is at best laughable and, at worst, pathetic. Posted by Yilan in Bulgaria, Turkey. Abdullah Gul said, “Turkey and Bulgaria are two countries which are connected with ties of friendship, neighborhood. The Turkish president said on Sunday that Turkey and Bulgaria were two countries bound with close friendship and neighborhood ties in the Balkans. Speaking to reporters prior to his departure for Bulgaria from Istanbul’s Ataturk Airport, Turkish President Abdullah Gul said, “Turkey and Bulgaria are two countries which are connected with ties of friendship, neighborhood and alliance in an important region like the Balkans, moreover, their commercial and economic relations improve with each passing day and they have similar approaches in foreign policy”. Gul said that the two countries also had key roles in the improvement of regional stability and solidarity in the Balkans and the Black Sea Basin. Describing Bulgaria as one of Turkey’s biggest trade partners in the region, Gul said the trade volume between the countries had reached 2.4 billion EUR in 2010, moreover, the worth of Turkish investments in Bulgaria amounted to nearly 2 billion USD. Commenting on his visit, Gul said he would hold talks with a number of high-level Bulgarian officials including President George Parvanov, Prime Minister Boyko Borisov and Parliament Speaker Tsetska Tsaceva, moreover, he would address businessmen at Turkey-Bulgaria Business Forum. Gul noted that he would also get together with the Turkish community in Shumen province. After the press conference, Gul travelled to the Bulgarian capital of Sofia. A crowded delegation of parliamentarians, bureaucrats, academicians and journalists are accompanying Gul during his visit to Bulgaria. That is what Greek Prime Minister George Papandreou asked his country’s legislators late last month as he tried to herd them into voting for an austerity package that was triggering riots. Papandreou was referring to the success that Turkey had in donning a hair shirt and recovering from a financial crisis in 2001. Now Greece is being asked by creditors to take the same kinds of austerity measures–but whether Greeks will go the distance, and whether they can recover the way Turkey did remains unclear. Euro-zone leaders last week agreed on a second bailout package for Athens. On Monday, Greek Finance Minister Evangelos Venizelos will meet with International Monetary Fund chief Christine Lagarde in Washington. The IMF estimates Greece will need more than 100 billion euros ($143.8 billion) in additional funding into 2014 beyond an existing EUR110 billion joint European Union/IMF program. “Why can’t we do what our neighbors the Turks have done?” Papandreou asked the Greek parliament. According to Kemal Dervis, Turkey’s former economy minister who designed Turkey’s recovery plan in 2001, the answer is that Greece also can recover. But there is at least one huge difference in the tools at the disposal of the two countries: Greece can’t cut interest rates and allow its currency to devalue, because unlike Turkey, Greece is part of the euro zone. Turkey’s 2001 crisis was tough by any standards. Over a two-year period, Ankara borrowed an amount equal to 14% of its gross domestic product from the IMF, pared spending to generate primary budget surpluses of 9.6% of gross national product, and persuaded labor unions to take a 20% cut in real wages. Gross domestic product sank by 5.7% in 2001. During the 2008 financial crisis, Turkey again was hit hard, despite having radically reduced its debt and strengthened its banking sector since 2001. In the first quarter of 2009, GDP plunged 14.7%. Again, Turkey bounced back, this time to become one of the world’s fastest-growing economies. There are other profound differences between the two longtime rivals who have been tussling over territory and pre-eminence since before the Turks conquered Constantinople in 1453. Turkey is larger by almost every measure, has a dynamic manufacturing sector and a much younger population than Greece. Turkey has its own economic worries, namely a current-account deficit near 9% of GDP, and financed by volatile short-term investments. Investor concerns over those imbalances have contributed to a selloff of the Turkish lira this year. But those concerns are tempered by widespread confidence that the country is set to expand over the next 20 years. The same can’t be said of Greece. A recent IMF working paper took a look at what the twin tools of a flexible exchange rate and the ability to cut interest rates were worth to Turkey during the post-Lehman crisis. It found they were significant. The paper calculated that the Turkish central bank’s decision to slash its policy rate–now 7%–by 10.25 percentage points in the year from November 2008, and at the same time to let the lira plummet had reduced the size of Turkey’s contraction in 2009 to 4.7% of GDP, from the 8% it would have been otherwise. Those cuts in borrowing costs triggered a credit boom that supercharged Turkish growth–the kind of stimulus that Papandreou’s opponents say his country should be looking for now, through tax cuts and other measures, rather than agreeing to an austerity program that will damp growth. In 2010, the year after the recession, Turkey’s economy grew by 8.9%. In the first quarter of this year, Turkey’s 11% growth rate outpaced China’s. “An exchange-rate tool is a very good tool to have, and giving it up is tough. It requires a degree of discipline that not only Greece but also other euro-zone governments may not have realized,” Dervis said. According to Paul De Grauwe, professor of economics at the Catholic University Leuven in Belgium, that is a reason for Turkey and other large nations such as Poland considering joining the euro not to do so. “In general, for Turkey it is better not to be in the euro zone,” said Mr. De Grauwe, citing the flexibility Turkey now has. Most economists say Greece would be worse off if it tried to leave the euro zone at this point–even if some have begun to predict that it will. And Dervis says focusing on Greece’s current troubles ignores the benefits the country has reaped from EU and euro-zone membership. Greece posted growth rates between 3% and 5% since the early-1990s, a period in which Turkey suffered bouts of surging inflation and booms followed by bust. Greece’s GDP per capita today is close to three times as high as Turkey’s. Yet Turkey does have lessons for Greece, said Dervis. First is that Athens has to wear the hair shirt. That is because, like Turkey in 2001, Greece’s position is so extreme that the only way to restore lenders’ confidence is by slashing spending. Try to skip that stage, he said, and the interest rate that creditors demand to take the risk of lending to you will just keep going up. Just as important, said Dervis, is combining austerity with reforms to make the economy emerge stronger in a program that convinces creditors of Greece’s ability to grow out of its debt. For Turkey, that meant 19 structural-reform laws aimed at transforming an economy that was crippled by political interference and monopolies. The reforms included creating an independent central bank, revising agricultural subsidies and revamping the banking system and civil aviation. For Greece, the challenges will be entirely different, Dervis said. But it, too, must retool to create a convincing growth story.